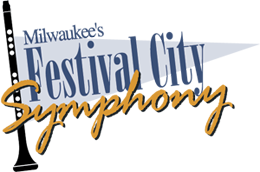 Festival City Symphony welcomes Lynn Roginske as new host of the Symphony Sundays “Children’s Program Notes.” This pre-concert activity introduces children to the music they are about to hear. Ms. Roginske is a music educator, pianist and singer. On the faculty at the Wisconsin Conservatory of Music, she teaches piano and voice, music theory and composition, as well as early childhood music classes. Other venues where Ms. Roginske presents interactive music programs for children are the Betty Brinn Children’s Museum, Wisconsin State Parks, and at VSA Arts events. She regularly hosts a folk song singalong at the Schlitz Audubon Nature Center. From 2009 – 2014, Ms. Roginske was a Music and Adaptive Music Specialist at Pulaski High School, teaching Chorus, Piano class, Music Appreciation, and Adaptive and General Music. She was Music Department Chair 2010 – 2012. In demand as a piano soloist throughout Wisconsin, Lynn performs an eclectic repertoire that has been described as “tunes with a twist.” Her offerings include Pop, Broadway, and Latin tunes, as well as her own compositions. She can also be heard with her jazz trio as well as Klezmer Libre, a Klezmer/Latin fusion band.